This case concerns the House of Lords’ judgment in R (Bancoult) v Secretary of State for Foreign and Commonwealth Affairs (No 2)  UKHL 61 and its interaction with the plight of the former inhabitants of the Chagos Islands, a tiny archipelago of coral atolls in the Indian Ocean. The islands are part of the British Indian Ocean Territories (or BIOT) and, following the Cuban Missile Crisis, the UK Government permitted the USA to use the largest island (Diego Garcia) as a military base. The Immigration Ordinance 1971 was issued, meaning residence in the BIOT would require a permit and that existing residents could be removed by order of the BIOT’s Commissioner. Accordingly, the Chagossians were removed or relocated by various means between 1968 and 1973. In 2000, Mr Bancoult obtained a High Court order quashing the relevant section of the Immigration Ordinance 1971, leading the then Home Secretary to lift the prohibition on resettlement and allow the second stage of feasibility study on resettling the former inhabitants to continue. The results of the feasibility study were published in 2002, concluding that resettlement would be prohibitively expensive and that inhabitation of the islands was precarious. Accordingly, an Order was passed in 2004 prohibiting residence or presence in the BIOT. Mr Bancoult brought judicial review proceedings to the House of Lords in 2008, challenging the 2004 Order. The challenge was dismissed by a 3-2 majority. In 2012, a number of documents came to light (the Rashid documents) which Mr Bancoult argued: (i) cast significant doubt on the 2002 study’s findings; (ii) should have been disclosed prior to the House of Lords’ 2008 judgment, pursuant to the duty of candour in public law proceedings; and (iii) make up four brand new heads of evidence. On this basis, Mr Bancoult sought to set aside the 2008 judgment. The appeal was dismissed by a majority of 3 to 2. Lord Mance gave the leading majority judgment (with which Lord Neuberger agreed) and Lord Clarke gave a separate judgment dismissing the appeal. Lord Kerr and Lady Hale each gave separate dissenting judgments. As to the alleged brand new evidence, Lord Mance held that it had either already been taken into account by the majority in the House of Lords’ 2008 judgment or consisted of material outside the respondent’s knowledge at the relevant time. Therefore there was no basis for setting aside the 2008 judgment. The story does not end there for Mr Bancoult and the Chagos Refugee Group. The Supreme Court has recently granted him permission to appeal the Court of Appeal’s decision in the related case of R (Bancoult (No 3)) v Secretary of State for Foreign and Commonwealth Affairs  EWCA Civ 708. 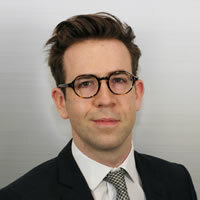 This case concerns the creation in April 2010 of a ‘Marine Protection Area’ around the Chagos islands, which Mr Bancoult seeks to challenge on the basis that he alleges it was enacted for the improper purpose of prohibiting the return of the Chagossians. Leave a reply on "Case Comment: R (Bancoult (No 2)) v Secretary of State for Foreign and Commonwealth Affairs  UKSC 35"